As someone who regularly writes in my Bible, I love finding pens and markers that won’t bleed through the thin pages. I’ve used these Sakura Micron pens for years but I needed another set because I was moving them back and forth from my nightstand to my van. (In a house with seven kids, my minivan became my one distraction-free zone!) 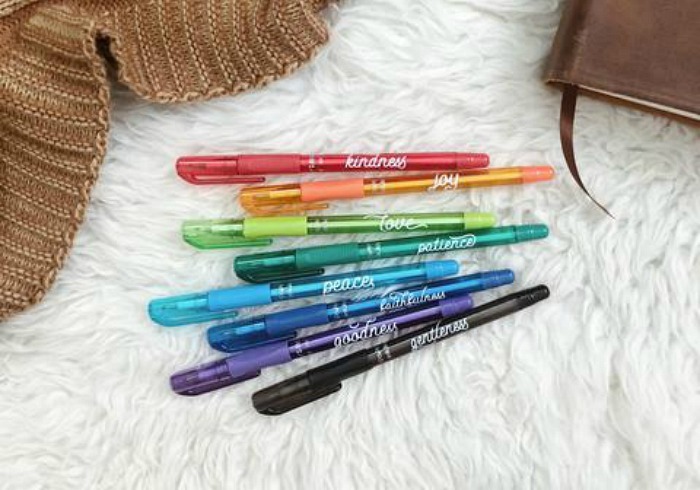 These sets have multiple colors to color code words and concepts in your Bible as well as highlighters made for your Bible. 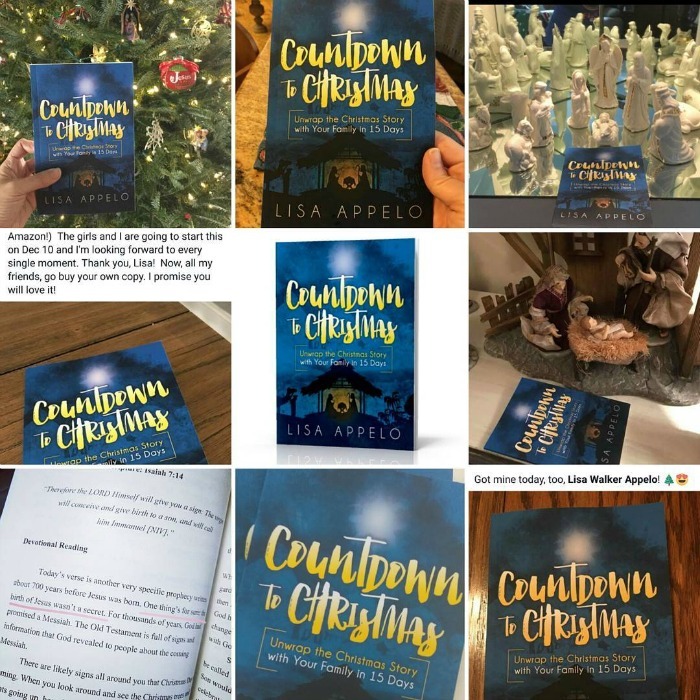 As much as I love this Advent tradition in our family, I love seeing pictures of your family using Countdown to Christmas in your advent. This year I’m over the moon excited about having my grandson start learning the real Christmas story with Countdown to Christmas and a felt Nativity set. Cue the sweet tears. Only God could know when I wrote this for my kids that my own grandchildren would use it. Don’t you love opening the mailbox in December and pulling out notes and pictures from friends and family? In a digital age, Christmas cards are treasures. I admit to skipping a few years, especially after Dan’s death when it was painful to send pictures of our family without him. But I’m on it this year! One of my favorite things is to save that the season’s stack of cards and pictures to pray for one or two families each week through the year. Why didn’t I get this sooner? I might be the last one but after visiting my son, I am hooked! Alexa, play our music for reading playlist. Hello soft classical while we school. Alexa, what’s the weekend forecast? No more getting distracted by Facebook when I Google. Alexa, pull up my Audible book list. This is going to change my cooking and kitchen cleanup, especially because I can stream my favorite Bible teaching and podcasts. I’d love to know how you use Echo. First, they made Surrender crosses. And then Jackie created the Daily Joy journal. 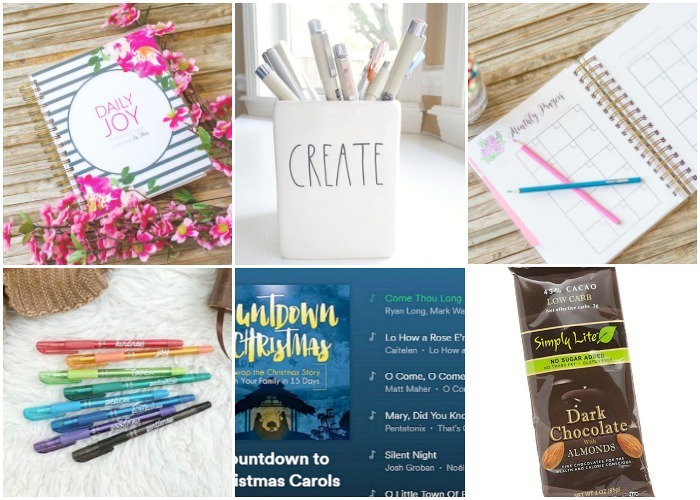 If you’ve been reading here for any amount of time you know I’m a huge journaling fan. And this one has everything in one spot. It has pages to track your prayers and calendar when you’ve said you’ll pray for someone. 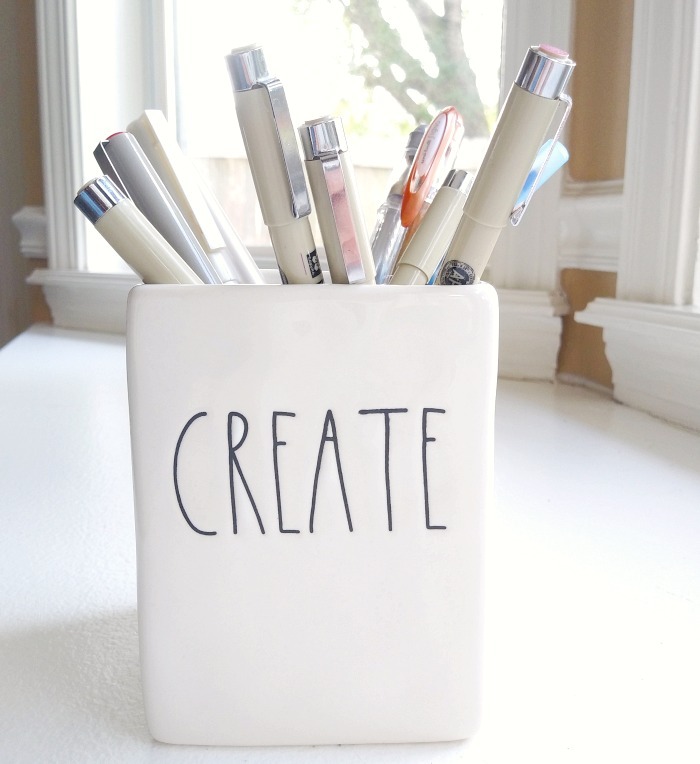 There’s space to keep a gratitude list, offer praise, confession, surrender and more. 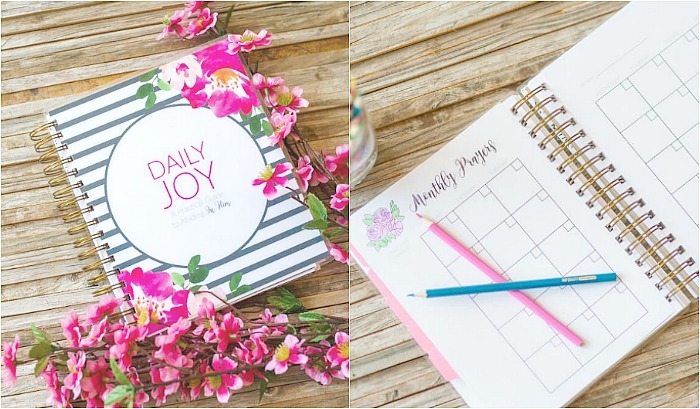 Jackie is offering my readers a coupon code for 15% off the Daily Joy journal or anything else in her shop! This code is good through Sunday and you’re welcome to share it! I’ve got my Daily Joy journal ready to start in January. Use code TFADVENT. Because every mom needs a go-to stash of chocolate. A chunk of this goodness in key moments has warded off untold ill-advised mom responses. Plus, it’s a guilt-free indulgence because there’s no sugar added and has only 1-2 net carbs. I love the dark chocolate almond but googling for a link, I saw they also have caramel-infused pecan, coconut almond and peanut butter cup. If you don’t have a Trader Joe’s nearby, Amazon also carries it and other stores may as well. If you’ve heard too much Grandma Got Run Over by a Reindeer, this playlist will have you worshipping. 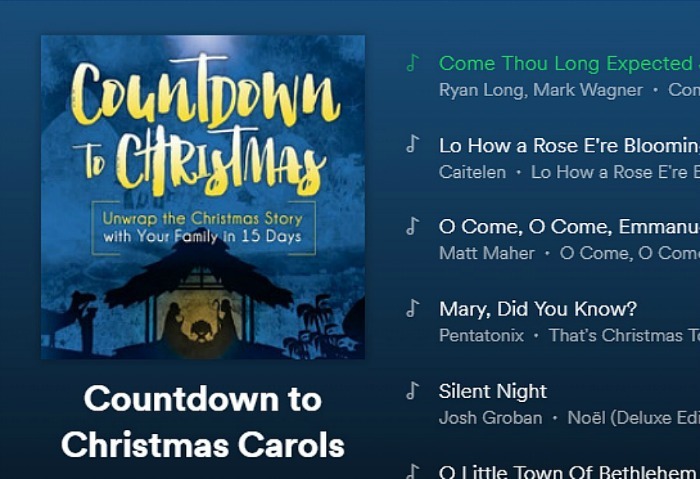 With artists like Danny Gokey, Chris Tomlin, Francesca Battistelli, Lady Antebellum and more, this curated playlist matches the daily scriptures and devotions of Countdown to Christmas: Unwrap the Christmas Story with Your Family in 15 Days. It’s beautiful anytime during the season! What about you? I’d love for you to share some of your favorite things! 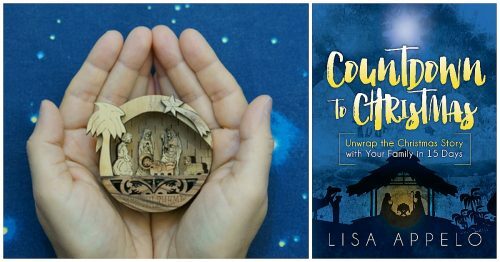 Countdown to Christmas: Unwrap the Christmas Story with Your Family in 15 Days brings the story of Jesus’ birth to light in an easy, hands-on way. Buid your Nativity one piece each day along with corresponding scripture and readings from Countdown to Christmas. Celebrate the real Christmas story as you savor the season! Oh, wow Susan. Hand-written letters are such a gift! My hat is off to you and I know you’ll bless those who are getting them! Palm Beach county is beautiful! I’m a North Florida girl but really love all the state.